Enhanced Oil Recovery – or EOR – is the process of increasing the amount recoverable oil from a reservoir, usually by injecting a substance into an existing oil well. 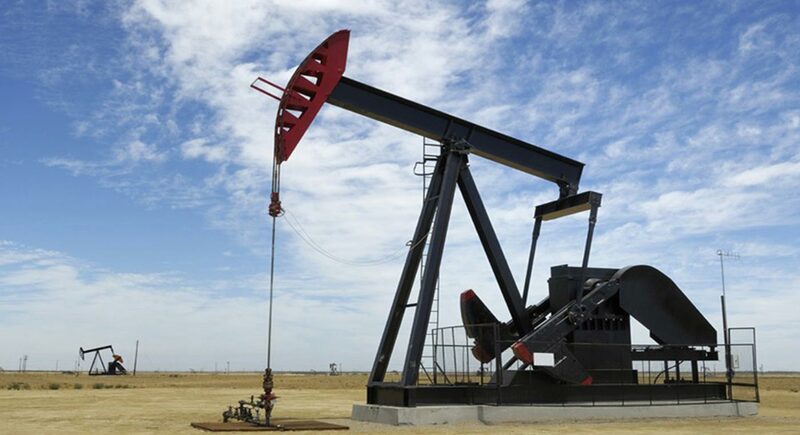 Enhanced Oil Recovery – or EOR – is the process of increasing the amount of oil that can be recovered from an oil reservoir, usually by injecting a substance into an existing oil well to increase pressure and reduce the viscosity of the oil. With a conventional oil well, natural pressure in the reservoir pushes the oil to the surface or a pump is used to create the pressure. This usually results in a recovery of about 25% of a well’s oil reserves. Enhanced oil recovery increases the oil recovery by up to 15%. Thermal recovery - which involves the introduction of heat such as the injection of steam to lower the viscosity, or thin, the heavy viscous oil, and improve its ability to flow through the reservoir. Gas injection: which uses gases such as natural gas, nitrogen, or carbon dioxide (CO2) that expand in a reservoir to push additional oil to a production wellbore, or other gases that dissolve in the oil to lower its viscosity and improves its flow rate. Chemical injection: which can involve the use of long-chained molecules called polymers to increase the effectiveness of waterfloods, or the use of detergent-like surfactants to help lower the surface tension that often prevents oil droplets from moving through a reservoir. CO2 injection - which uses CO2 to act as a solvent, a pressurizing agent, and reduces the oil’s viscosity. Globally, EOR has the potential to produce an incremental 1,070 billion barrels of oil and store up to 320 billion tonnes of carbon dioxide. Potential areas for development include US, Canada, Russia, Asia, Central and South America, Europe, and South Africa ICO2N. “Enhanced Oil Recovery – A Significant Economic Opportunity to Help Jump-Start Carbon Capture And Storage”. August 2011. ICO2N. “Enhanced Oil Recovery – A Significant Economic Opportunity to Help Jump-Start Carbon Capture And Storage”. August 2011. .
One of the main benefits, aside from increased oil recovery, is the creation of a market for carbon dioxide. EOR provides a commercial use for carbon dioxide, creating an incentive for industries to develop technologies to capture the greenhouse gas. EOR is therefore seen as a catalyst for a carbon market. a, b ICO2N. “Enhanced Oil Recovery – A Significant Economic Opportunity to Help Jump-Start Carbon Capture And Storage”. August 2011. Sorry, we do not yet have a video specifically for Enhanced Oil Recovery. We are adding new videos to StudentEnergy.org weekly, but in the meantime check out this video on Oil. Conventional Oil refers to oil that is produced from reservoirs using traditional drilling, pumping and compression techniques. Oil Transport refers to the various methods of transportation used to move oil from one location to another. These include pipelines, rail, shipping, and trucking.